nventor Yi Cui doesn't just talk about how next-generation batteries will tranform the way we live. He talks on a phone that actually uses one of those next-generation batteries. Cui, an associate professor of materials science and engineering at Stanford University, developed batteries with silicon-based electrodes — and helped found a startup called Ampriusto commercialize the technology. Now he walks around with a THL 4400 smartphone that uses the battery. It's the result of an effort that has occupied Cui and other engineers for more than a decade — a quest with questions that persist to this day. "Can you make batteries store more energy?" Cui asked. "Three times more, four times more, or even more? What's the limit? What are the problems we have to solve?" Stanford Professor Yi Cui holds up a smartphone that uses the silicon-based battery he invented. He and other experts on battery technology provided an update on the quest last weekend in San Jose during the annual meeting of the American Association for the Advancement of Science. Building a better battery will require new materials — including silicon nanowires, which have the theoretical potential to store three times as much energy as a lithium-ion battery with the same volume. The trick is to design a battery that's cheap, safe and long-lasting as well as energy-rich. Other technologies could advance the state of the art: Lithium sulfur batteries were tested back in 2008 during an experimental solar-powered airplane flight, for example, while lithium-air batteries take advantage of the oxygen we breathe to recharge their power cells. Neither of those technologies is ready for commercialization quite yet, but both of them could be in just a few years, said Linda Nazar, a chemistry professor at the University of Waterloo. Improvements in battery technology will have an impact on how people use devices ranging from mobile phones to electric cars — and they'll also make it easier and cheaper to store the electrical grid power generated by solar panels and wind turbines. The result would be less reliance on power sources such as oil, gas, coal and nuclear — all of which are currently cheaper than renewable sources. Six months ago, Tesla Motors CEO Elon Musk unveiled plans to build a $5 billion "gigafactory" in Nevada for making hundreds of thousands of lithium-ion batteries per year. Musk says the operation can bring the cost of battery production down to the tipping point for electric cars — a point that experts estimate at around $100 per kilowatt-hour of capacity. The current low mark is thought to be about $200 per kilowatt-hour. The batteries could be used in Tesla's cars, or in homes as a personal power source. Cui said Tesla's plan is an "exciting step," but it's not yet clear whether Tesla will reach the tipping point. Venkat Srinivasan, a battery researcher at Berkeley Lab, thinks more will be required. 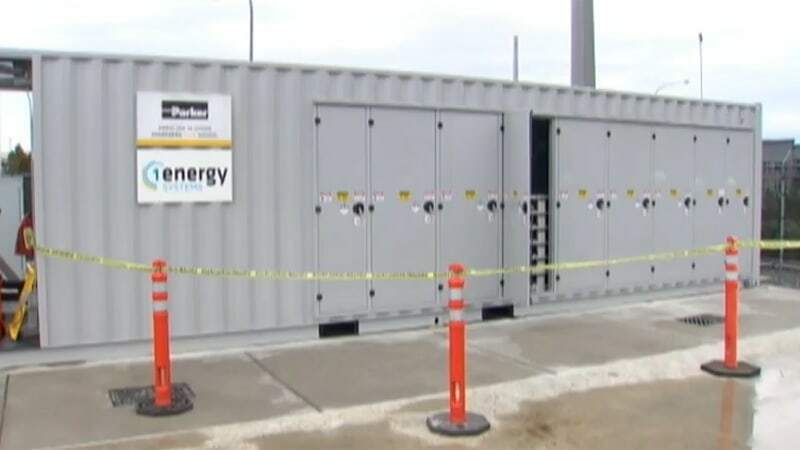 "It's going to come down to finding something that's better than lithium-ion," he told NBC News. Innovation in the battery industry proceeds much more slowly than innovation in, say, the semiconductor industry. The oft-cited guideline known as Moore's Law says processing power doubles every two years or so, but Srinivasan said the corresponding rule of thumb for batteries calls for a 5 percent improvement in energy density every year. One way to accelerate the pace of innovation could be for researchers and manufacturers to work together more closely. Srinivasan said that the public-private partnership known asCalCharge — which he helped found — provides a good model. He said future battery gigafactories could be co-located with research facilities, something that isn't the current norm. "Today we don't make any batteries in the United States. We do it all overseas," Srinivasan said. "We think that we can bring the manufacturing of batteries back to the U.S."